The pigeons were released at 7 o'clock with excellent visibility and a slight northeasterly wind, which made this an honest race indeed. As the first pigeons arrived home fanciers started to work out when their first birds needed to arrive home. And tension was rising for Team Geerinckx as well, as they anticipated a possible arrival at 2:45pm. Tension turned into sheer joy as racing bird BE17-6024072 rushed home at 14h44'49". 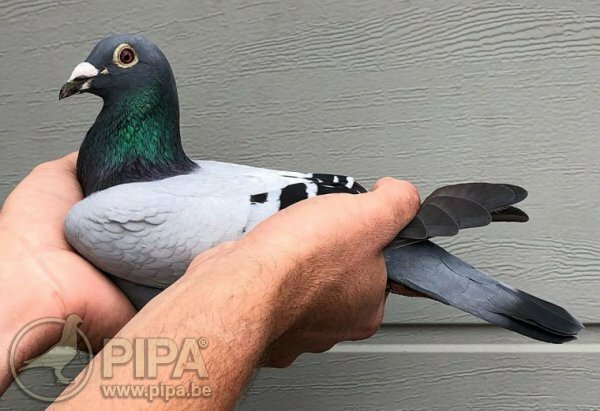 The speed at which she arrived home really got their hopes up, and in he end she won a 1st Provincial of 3,025 pigeons in Antwerp, as well as a 6th National of 19,468 yearlings. And things got even better when BE16-6033507 arrived home at 14h47'22", to claim a 2nd Provincial of 1,457 pigeons and a 15th National of 15,653 old birds, making this 2018 race from Argenton a memorable flight for the team. 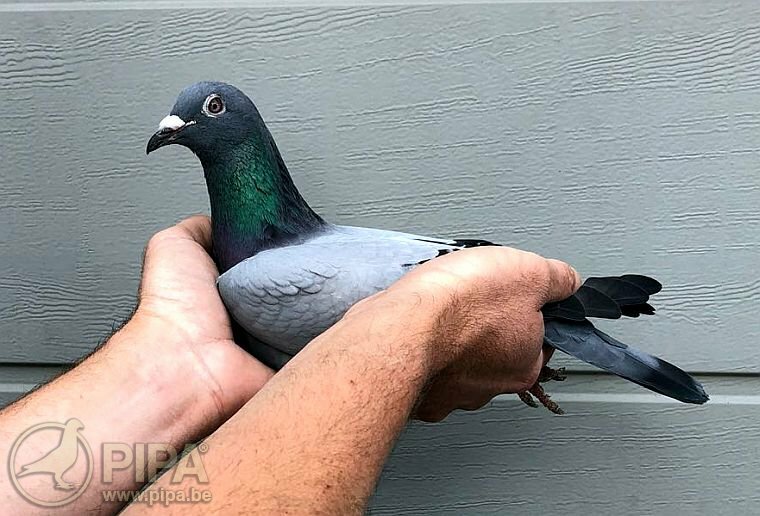 Those that are familiar with Bart Geerinckx and his pigeon breed will probably know that he never sells pigeons with a great result to their name. These pigeons are invaluable in the breeding loft. That is not to say that these birds would never breed an untalented youngster of course. Bart explains: "But if you do breed a talented youngster from them, you can rest assured that it will be able to match or even exceed the palmares of their parents or forefathers." In other words: champions breed champions, and a successful racing bird can enable you to get great results in future seasons as well. The pedigree of the two winners will make things even clearer. 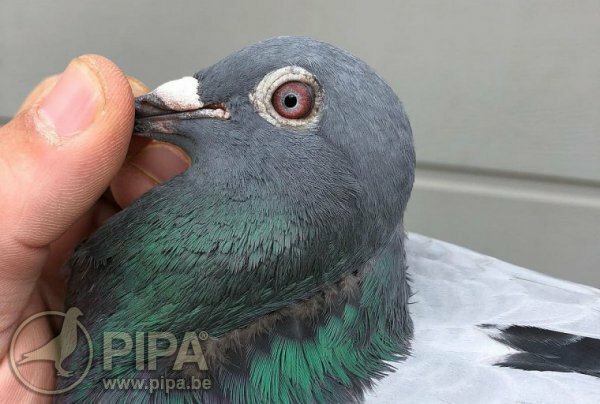 Sire: BE14-6202115 Argento: winner of a 2nd national Argenton of 5,208 pigeons, as well as a 6th of 1,408 pigeons in Montluçon and a 10th national of 2,500 pigeons in Chateauroux. Dam: BE16-6033750 Sister Little Star: a full sister of Little Star, 1st National Ace Pigeon KBDB Longer Middle Distance 2015. Her parents have won quite a few first prizes as well: her sire Blue Lagoon claimed a 1st of 2,545 pigeons from Montluçon; her dam Iron Lady won a 1st of 2,611 pigeons in Châteauroux and a 1st of 642 pigeons in Argenton. Bart's breeding strategy is fairly obvious, don't you think? Click here for the full pedigree of Beautifull Star. 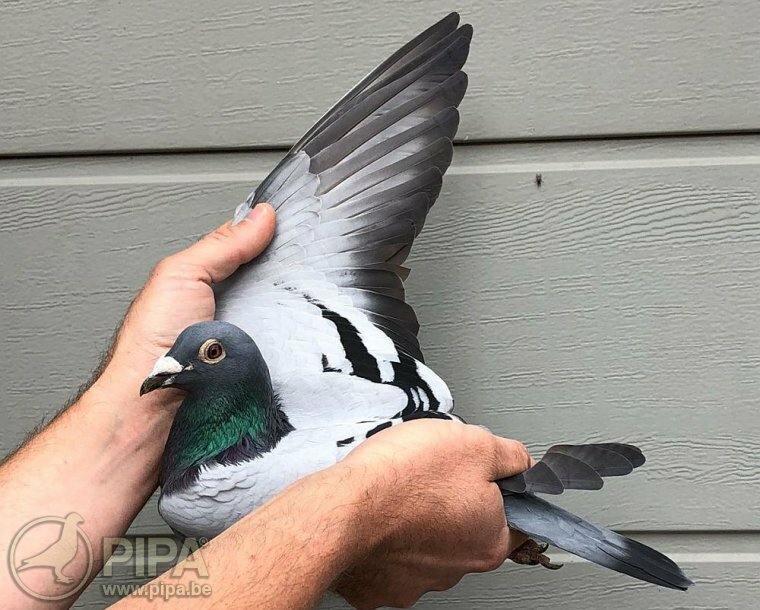 Sire: BE09-6326192 Luc: winner of a 1st national Argenton of 12,446 pigeons and the sire of Queen James, 5th National Ace Pigeon Long Distance in 2017. This is probably one of the best examples of how two national winners combined can lead to great results later on. Under the condition that you do not sell them of course. Click here for the full pedigree of Brother Queen James. Talented pigeons should be be basketed for races. But given the warm weather coming up, Bart will await the latest weather forecast to decide if his two champions will be basketed or given another week off instead.